Grassy Waters Preserve in West Palm Beach presents the natural history of Florida in its pristine and wild 23.5 square miles. 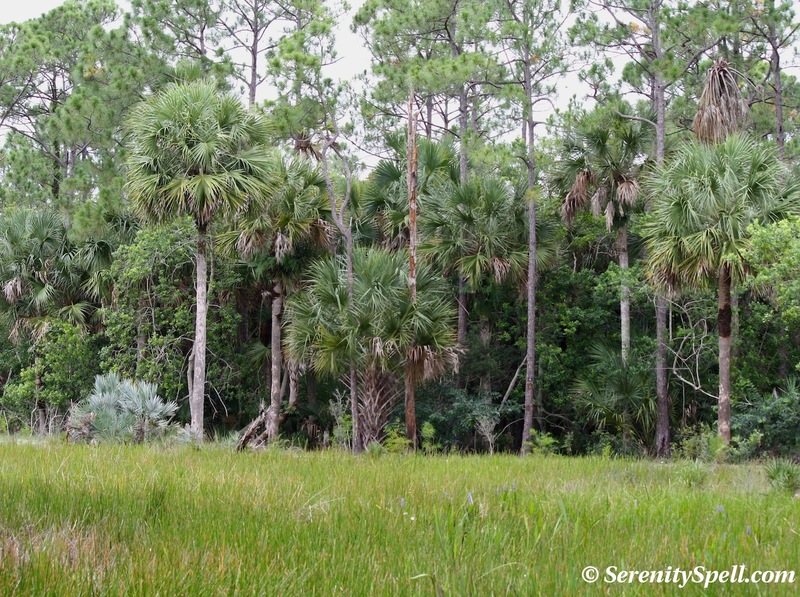 Today, the Preserve serves as the freshwater supply for the city and its associated municipalities — but historically the area was the headwaters of the Loxahatchee River (Seminole for River of Turtles). 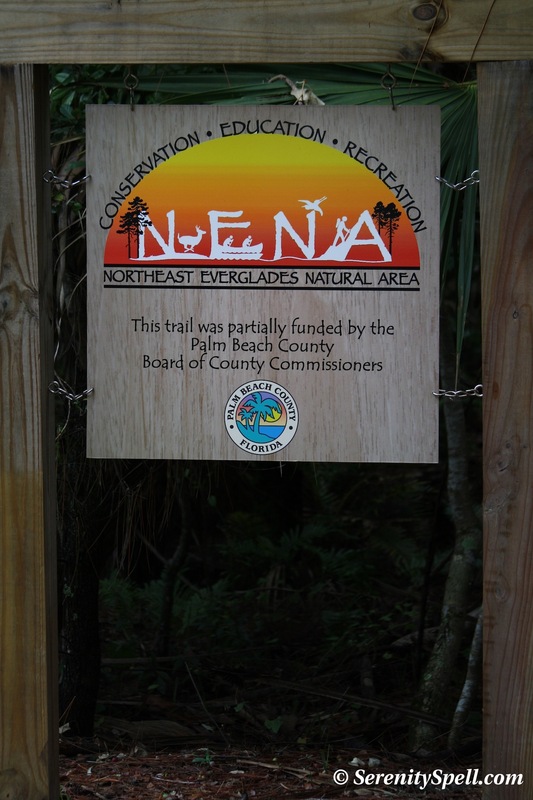 It was also a key component of the Everglades watershed, which began north of Orlando and flowed through rivers that emptied into the vast Lake Okeechobee, where the lake’s waters flooded into the Everglades Basin and slowly flowed into the Florida Bay. Humans have since severely altered this historic water flow — although efforts have begun in earnest to resolve years of detrimental impact. 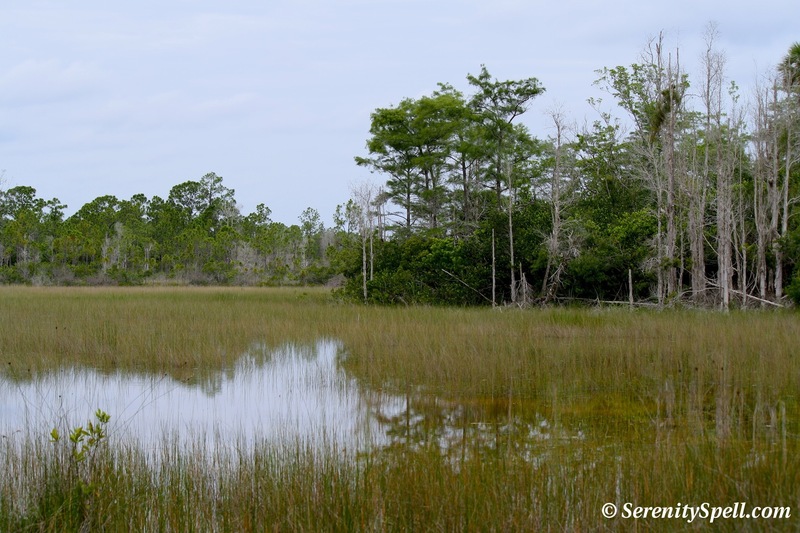 The Grassy Waters Preserve (GWP) represents a remnant of the once-magnificent Everglades ecosystem. 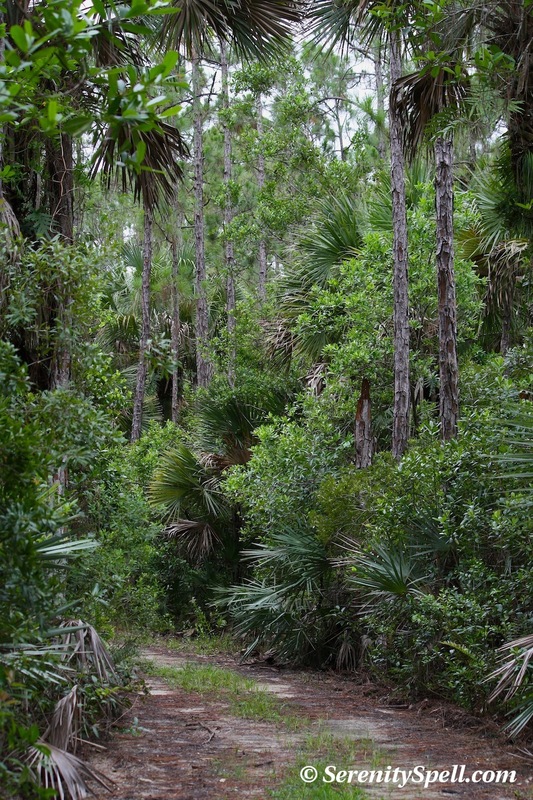 Numerous hiking and biking trails wind throughout GWP, including the Apoxee Trail — “beyond tomorrow” in the Miccosukee language (pronounced A-po-hee). We weren’t prepared for a flooded-trail hike, so we drove north to the Hog Hammock Trail, where we were delighted to be completely alone for our 5-mile venture, save the critters. What’s wonderful about GWP is the variety of trails offered — long, short, easy, advanced — you have your pick. Wildlife sightings include alligator, deer, armadillo, wild turkey, feral hog, bobcat, otter, osprey, great-horned owl, hawk, assorted wading birds, and snail kite. The survival of snail kite — the logo for the Preserve — is dependent on the preservation of pristine wetlands like those at Grassy Waters. Sadly, like so many other species, it’s estimated that this amazing bird of prey will most likely face extinction within the next 30 years due to habitat loss and other factors. But at Grassy Waters, snail kite sightings are common — proving that this iconic Everglades resident is allowed the quality habitat it needs for a fighting chance at survival. These images were taken during our Hog Hammock hike, which we did in its entirety, including the mile-long dead-end trip…. As we were leaving the trail, I was yapping about something terribly important and startled a magnificent great-horned owl, which alighted immediately in front of us. Argh for the failed photo op! Here There be Gators: Adorable but Flighty Juvies! What a wonderful introduction to the area you’ve given me with this post! The everglades is DEF on my list of must sees here in FL. Nice photos and as usual, I learned something. Thanks! So sorry you missed the owl shot. I missed a shot of an osprey carrying a huge fish not long ago that made me want to kick myself. Thanks so much! 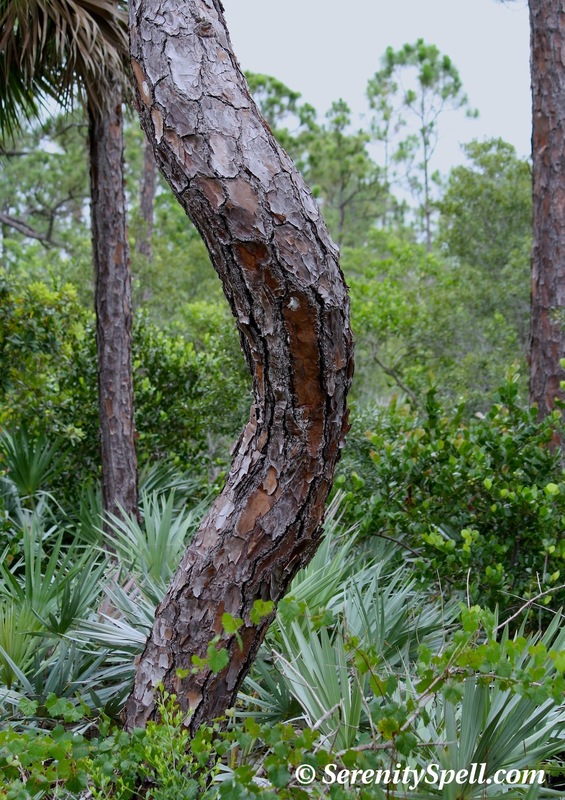 I do love the ‘Glades; there’s (literally) no other ecosystem like it on the entire planet. It’s why I try to post so many images of this beautiful, amazing land and its flora / fauna — people need to love it, in order to preserve it. I can’t believe my yapping frightened that beautiful owl — their size is just awesome, and he was within feet of us. GR! I looooove osprey, too! And ditto — I’ve yet to snag one with a fish, with as many as we have here. It’s hysterical. AS ALWAYS – GREAT SHOTS OF THE GREATEST BEAUTY OF THEM ALL!!!! Mankind is an interesting animal – both terrible and great at the same time. Sometimes, in their haste mankind destroys before realizing the value of that which is destroyed but to their credit atleast there are times once mankind realizes he has gone too far he does try to retrieve that which he destroyed – sometimes it is possible but other times not. I am always glad to see and read of how a voice here and there is trying to draw our attention to the fact that we are mankind and as such must pay attention to what we are doing each and every moment of our lives. The Lord (so it is written in the Bible) gave us stewardship over the earth but stewardship does not mean dictatorship. Thank you for all your great efforts!!!! Thanks so very much for your kind, thoughtful words! 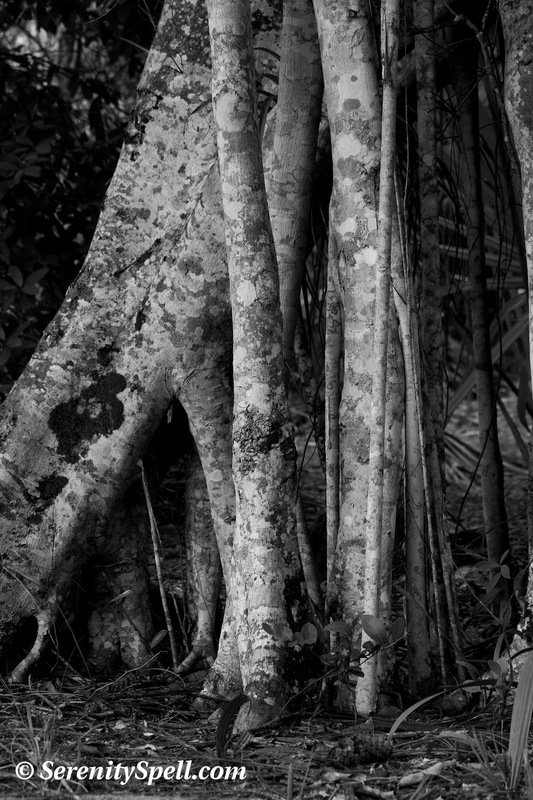 I adore the Everglades — there’s (literally) no other ecosystem like it on the entire planet. It’s why I try to post so many images of this beautiful, amazing land and its flora / fauna — people need to love it, in order to preserve and restore it. Great post with some really awesome and beautiful photos! 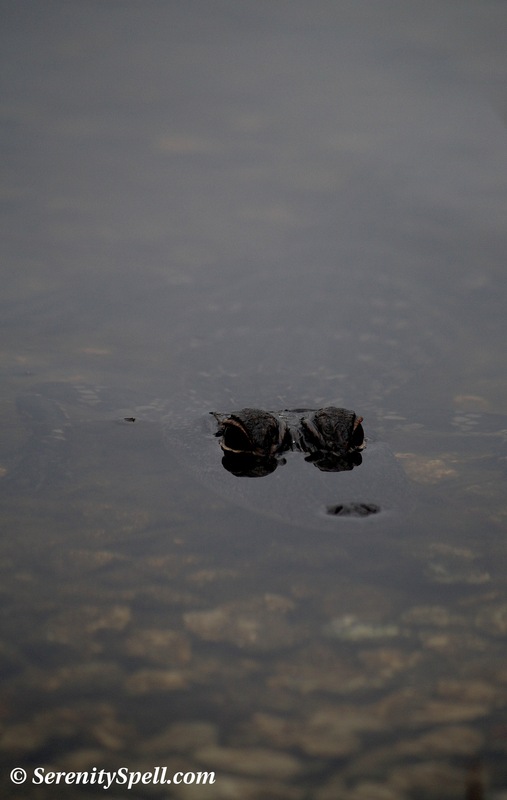 Loving your pics, especially the gator:) Have a Wonderful Day! Too bad about not getting to photograph the owl, but at least you got to see it. The photos published here were great, and I thought your description of the area was really interesting. Exactly…. I was just thrilled to witness such an amazing creature! It’s not the first time we’ve surprised a great-horned owl in the swamps, at such a close distance — it’s a stunning sight!! I just love your photos. I have given you an award on my latest post – hope you like it! You’re so kind — Thanks VERY MUCH! And congrats for the award! You do such amazing and brave things for those with no voice; THANK YOU! What a beautiful place! I love the photo of the gator! Thanks so much — it really is a wonderful area, totally beautiful and different in many ways. 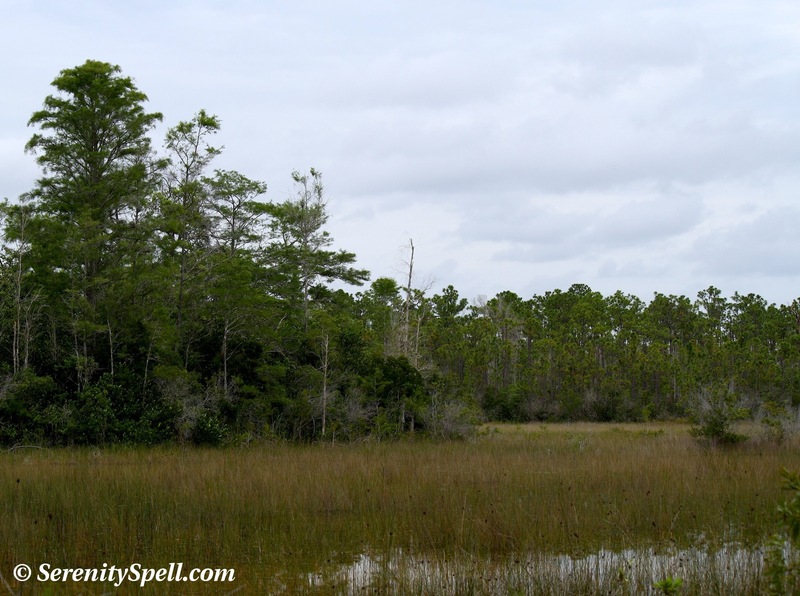 Wet prairie, swamp, marsh, cypress… Love it! And of course the wildlife. 🙂 This time we only saw the gators, but I love ’em so that’s alrighty by me. Thank you for honoring what’s left. Imagining what this place must have been like before the invasive species . . . humans . . . it must have been truly incredible. Fierce, too, I imagine, no? Have only been in Florida once , wish it had been Everglades but it was City Life in Miami Beach! Ah, but you were so close!! Miami is an experience, for sure… A bit overwhelming to me! The Everglades is one of the most beautiful places in the world, thank you so much for sharing these photos! Absolutely — thanks so much for the comment! The Everglades truly is one of the most beautiful areas on this planet, and absolutely unique. It deserves the utmost respect and PROTECTION.